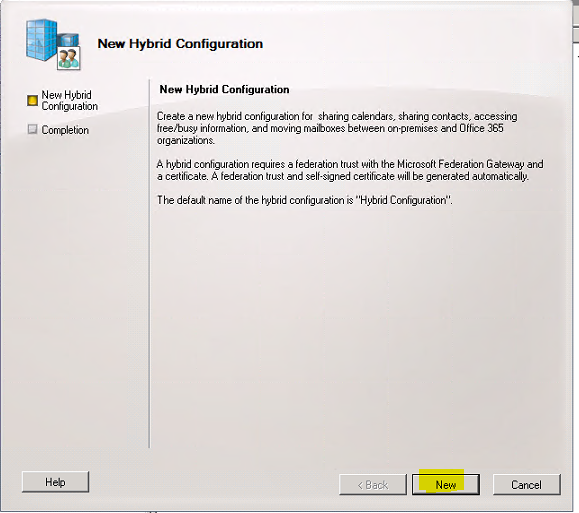 Configuring Hybrid Configuration on Exchange Server 2010 SP3 for Migration to Office 365 (Exchange Online). | Chinny Chukwudozie, Cloud Solutions. ← Generate Office 365 User License Report with PowerShell. 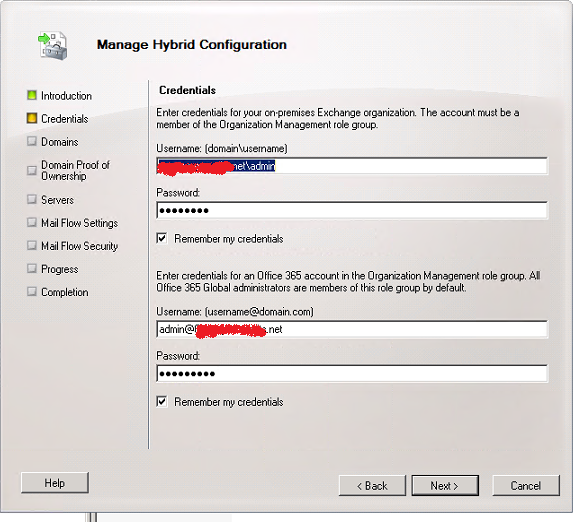 Configuring Hybrid Configuration on Exchange Server 2010 SP3 for Migration to Office 365 (Exchange Online). We’ve decided to initiate the migration to Office 365. For now, the plan is to start a phased migration of a third of all mailboxes to Exchange online. This will give us a chance to run an on-premise and cloud hybrid deployment in real time then determine whether to fully move forward or rollback. 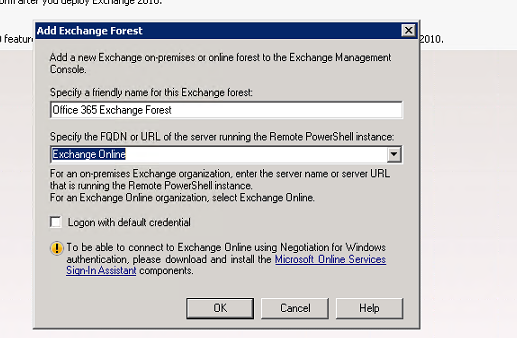 An Exchange Hybrid deployment can only be setup in an environment running Exchange Server 2010 and later versions. This task is an involved process that requires a number of prerequisite steps be completed successfully before start. As part of the initial steps, I already setup an Office 365 tenant account and added the relevant domain. Microsoft offers a 1 month 25 user Office 365 evaluation. 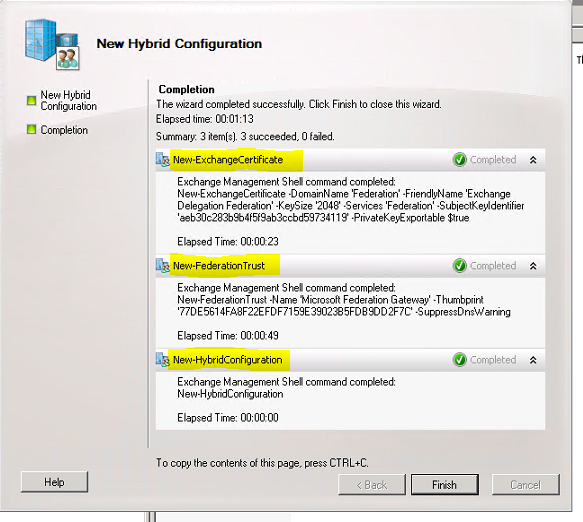 With the release of SP2 and SP3 for Exchange 2010,Microsoft has simplified and automated some of the tasks and saved the infrastructure engineer about 45 steps of manual hybrid server configuration. 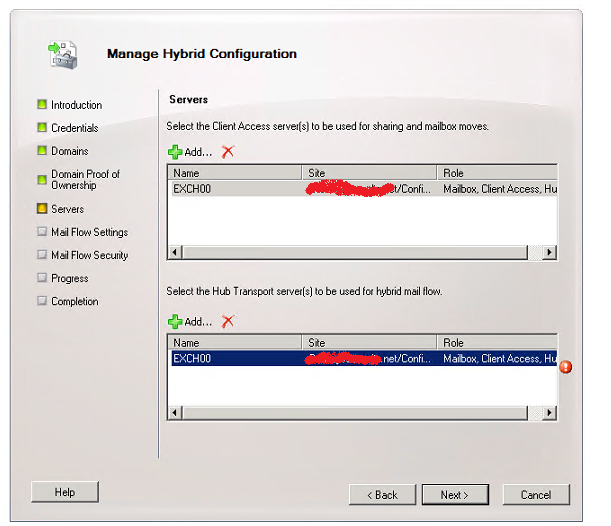 A key component of deploying Hybrid co-existence is Directory Synchronization: It assures that user account objects are synchronized between the on-premises Active Directory and Azure Active Directory. Because objects are synchronized between both environments, mailboxes can be moved and users should see the same Global Address List regardless of where their mailbox is hosted. 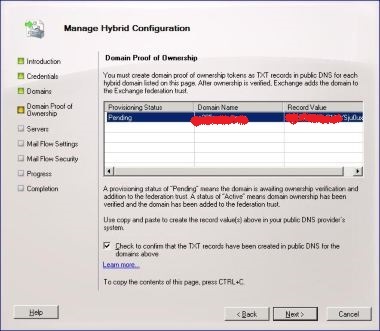 I have written about setting up Directory Synchronization with AADSync in a past post. 1) Natively moving mailboxes to and from on-premise Exchange and Exchange Online. 2) Almost seamless co-existence between Exchange Online and one or more1 on-premises Exchange organizations (over a longer period of time). 3) Among other benefits, Secure mail flow between the different platforms and users have the ability to share Free/Busy information. 4) Cloud-based archiving for on-premises mailboxes, also referred to as “Exchange Online Archiving”. Since I already have a fully working AADSync setup. 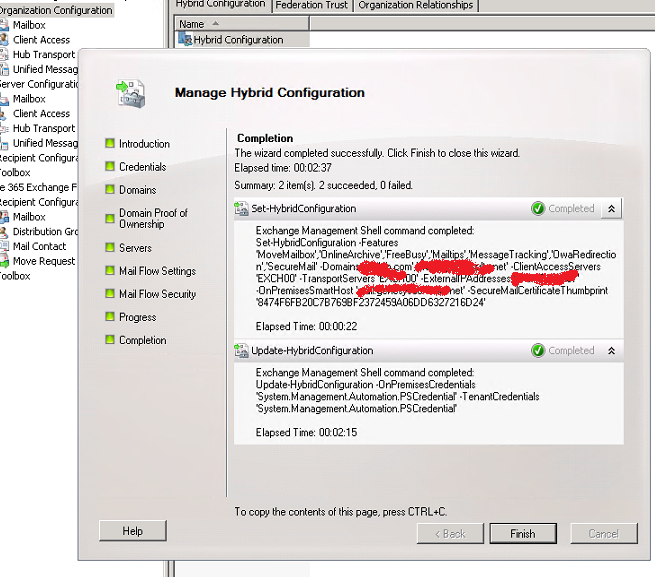 I’ll go ahead and login to the Exchange 2010 server and start the hybrid configuration tasks. 1) If running a physical Exchange server, my first task will be to create a working and tested virtual machine copy for DR and redundancy. 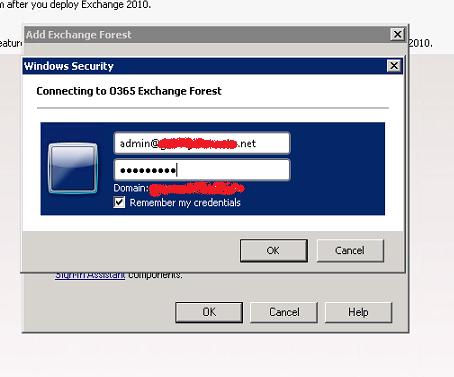 At this time, I have Exchange 2010 running on a virtual machine with hyper-v replication in place. 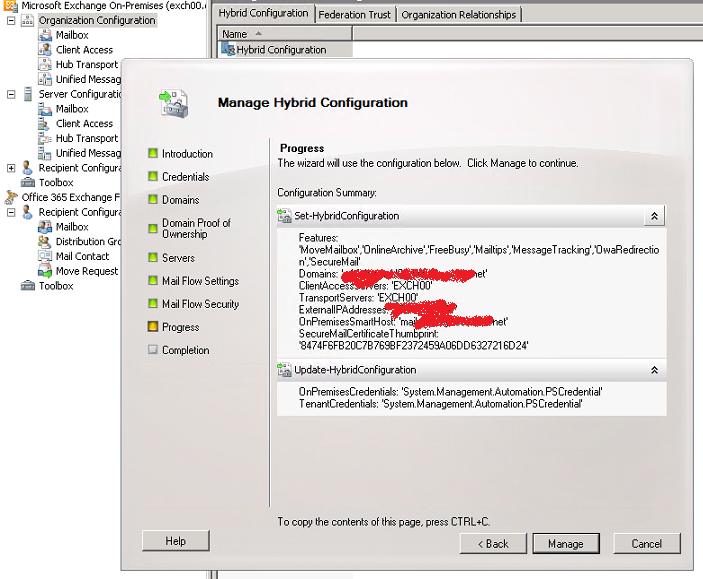 9) The New Hybrid Configuration wizard runs three separate cmdlets in the background to create a) A self signed certificate for the Exchange Delegation Federation b) Federation Trust with the Microsoft Federation Gateway c) And the actual New Hybrid Configuration AD object. Click finish after the wizard completes successfully. The wizard failed one time I ran it because of a mistake with my public dns Autodiscover configuration. 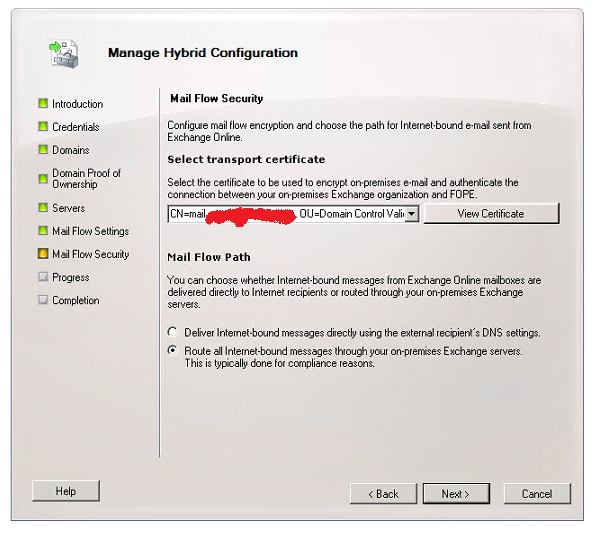 I tested the new hybrid configuration by starting a batch migration of on-premise mailboxes to exchange online, sending email from an exchange online mailbox to an on-premise mailbox and validating the Exchange online hybrid mail flow connector. 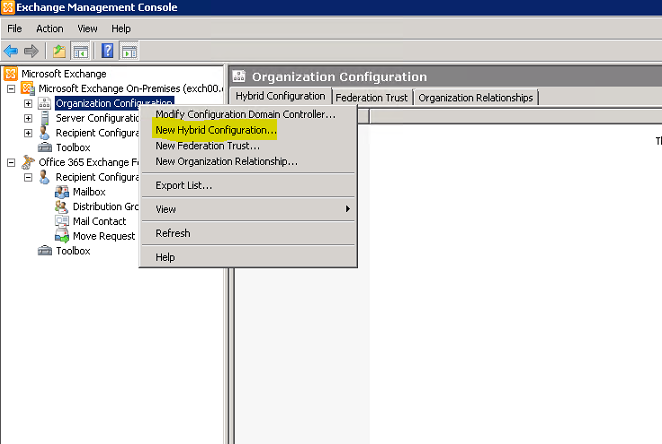 Implementing a Hybrid Configuration is a detailed and involved process and requires much planning and research. Overall it’s a stable process if the initial tasks are completed correctly. 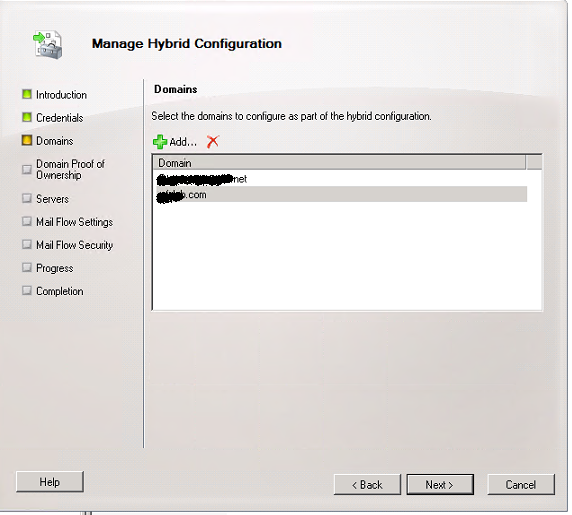 I also experienced some self-inflicted problems while troubleshooting that led me to delete all hybrid configuration changes and start again (since it’s a lab, I could do anything..). It turns out, there’s no direct way to delete/remove a hybrid configuration object from the EMC or powershell in Exchange server 2010. I intend to write a post in the coming days about how I successfully removed the hybrid configuration object, recreated it again and ran the wizard successfully. 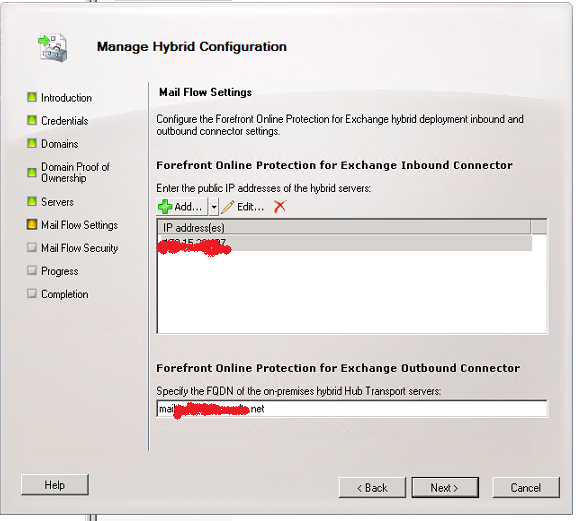 In addition I will post my experience testing the Hybrid Configuration by migrating mailboxes to the cloud and validating the Exchange online mail flow connector. I hope this post helps. This entry was posted in Azure AD Sync, Directory Synchronization, Office 365 and tagged Azure AD Sync, Directory Synchronization, Exchange Online, Exchange Server 2010 SP3, Hybrid Configuration Wizard, Office 365. Bookmark the permalink.